Nowness has featured Kiyomi’s stunning “High Ladder” video, directed by Charlie Le Mindu. The site contends that the video is “visually captivating,” and we definitely agree! Watch it here. 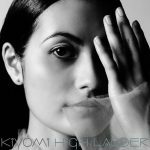 “High Ladder” is at radio right now and is also eligible for charting to the Radio 200 and NACC Singles charts. Put it in your rotation ASAP.